We are finally getting around to putting up our monitors, that has been sitting in boxes for ages, on the walls at the office. So instead of showing off boring numbers like sales pipeline, consultancy availability and stuff like that why not show case what’s being said about us in the twitterverse? 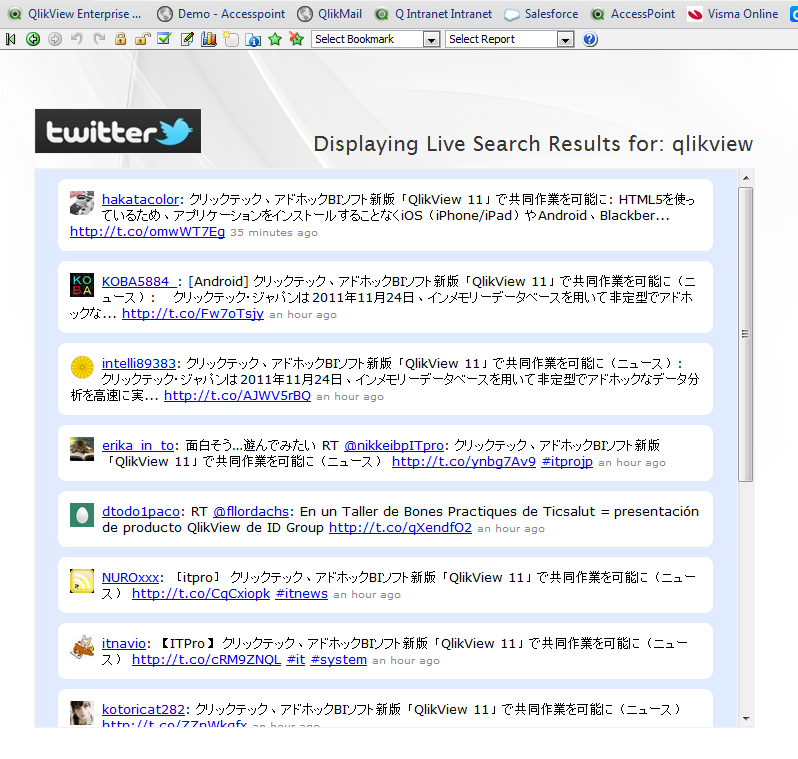 QlikView11 tour and Updated Google Maps Extension! 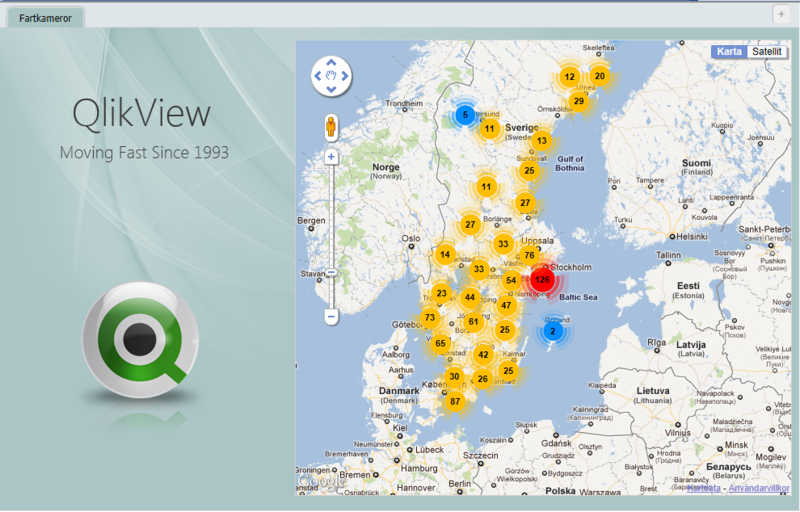 This week I have been given the privilege to travel around Sweden to present QlikView 11 to our direct customers. Today we had a QlikTalk in Stockholm, QlikTechs birthplace Lund tomorrow and Gothenburg the day after. Amazing to see all the smiles in the audience from long lasting customers! It’s almost silly how happy I become when customers comes up after the seminar and telling you that they could eliminate 1xx number of excel reports, free up x hours of work and how QlikView really adds true business value to their organisations. I finally got around to update my QlikView Google Maps Extension Object, what to do when you are stuck at airports and hotel rooms? Please visit http://community.qlikview.com/message/153412 for samples, change logs and download. GO DOWNLOAD AND TRY IT OUT! So a little bit of Friday fun. I leveraged an old Google Maps extension object I built to plot speeding cameras on a map and embedded that into QlikView. Feel free to try it out, app and extension is included.